Books have a strange way of being complementary to each other. The book i’m reading after ‘Born to Run’ is ‘The Cosmic Revelation’. 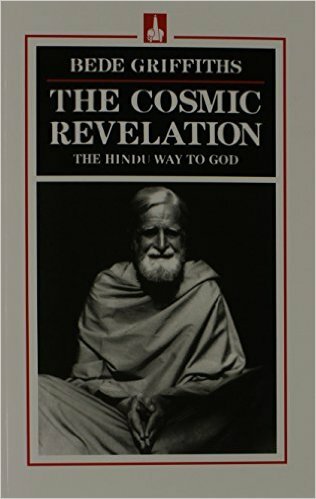 Its author, Bede Griffiths, was a Catholic monk who lived more than 25 years in India and dedicated himself to understanding the Hindu revelation and combining that with Christianity to seek the Truth – sounds like an interesting guy and a very interesting project. I am fascinated by The Fall because it seems to me that if i could figure out what we lost and how we lost it, then i should have a better understanding of God. I believe that the Book of Genesis in the Bible is largely allegorical but also that it seems to reflect considerable knowledge, or understanding, of how the world was actually formed. It also seems possible that it reflects some sort of community memory, stretching back thousands, perhaps hundreds of thousands, of years. If a story was passed down, generation to generation, it seems likely, even allowing for embellishments and the dropping of unfashionable parts, that a kernel of truth at the centre of the story could survive. Could this also have been the moment that we abandoned the Garden of Paradise? The source of such rich food, Lieberman concluded was game and the only way that Homo erectus could obtain a steady dependable supply of meat, tens of thousands of years before bow and arrows, or even spear-heads were invented was to run their prey into the ground – other that cannibalism of course! That’s the issue with The Fall as well; the way its told by Judaism and Christianity it amounts to regressive evolution, or certainly evolution down a cul de sac that was only going to end in the existence of a lesser being – mankind with a previous address at The Garden of Paradise. 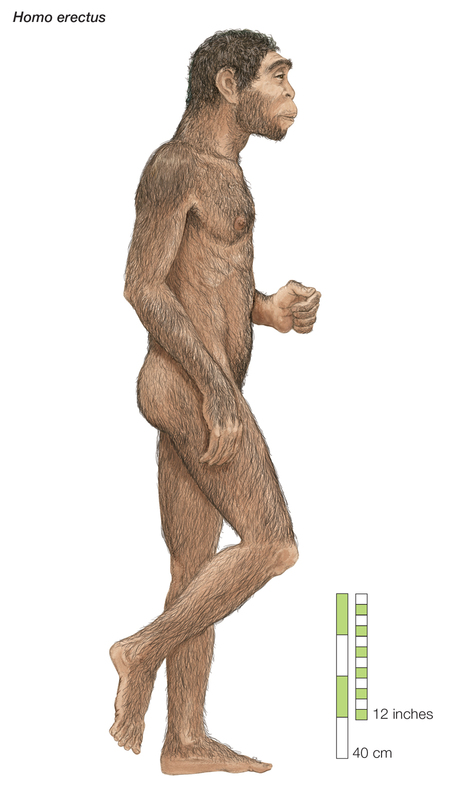 The answer to the first question turned out to be running ability – that’s what Homo erectus and the other early Homo species got in exchange for all the genetic abilities and advantages they gave up. So here’s the question, did early man give up God as well as strength and speed in return for the ability to run farther, easier, than any of his competitors? 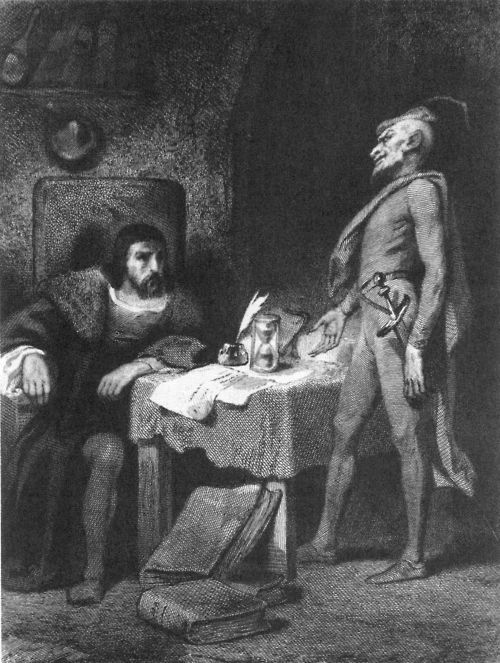 Was this his Faustian pact? 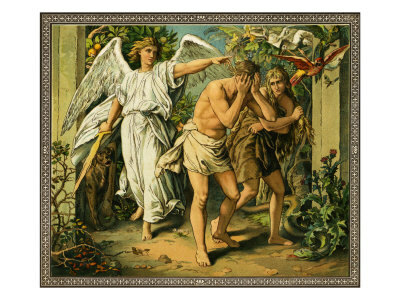 Original Sin is, of course, linked with the banishment from the Garden of Paradise. Humans ate the forbidden fruit; the fruit of the Tree of Knowledge, and became God-like themselves in their understanding. Is it a coincidence that eating from the Tree of Knowledge caused humans to be banished from Paradise just as relinquishing their former strengths allowed them to dramatically improve their diet and rapidly develop their brains and their brain-power? Do the events described in The Fall mark the Biblical record of the development of man’s extraordinary brain-power and the realization that this changed, changed utterly, man’s relationship with God and with nature? The abandonment of God and the loss of Paradise would not have been a deliberate decision, such as is portrayed in the Bible, but was probably an, unfortunate perhaps, side-effect of evolutionary progress. As early humans developed, as their brains grew and their thinking ability blossomed, they lost their harmony with nature, with God and with himself. One could say humans had stepped outside the Cosmic Order.